… you can focus on relaxing the most beautiful sport in the world. Golfers are welcome! In Beilngries at Altmühlgolf Beilngries 8 km away, you can forget all the hustle and bustle and enjoy the tranquility of an idyllic golf course without time pressure. The slightly higher fairways provide views of the deep valley cut Rhine-Main-Danube Canal very close. The varied, undulating fairways modulated direct the eye over a pond with fountain and green peninsula. and deck space. 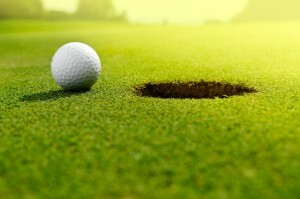 Golf Unlimited on the splendid square of Altmühlgolf in Beilngries (about 10 km) and Halfway on Saturday and Sunday.